2018 OTA/Encyclo-Media Conference Info - Please Attend!!! Is your district constructing a new school? Please SHARE this newsletter with your colleagues - I don't have everyone's email address. NINE AUTHORS - ONE EPIC EVENING! Tell your students! Bring your students! 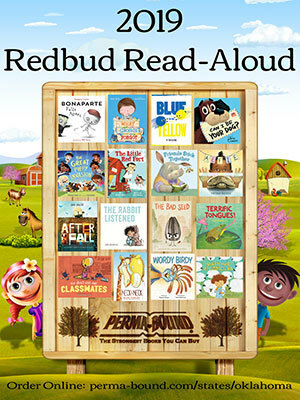 The school with the highest number of attendees will WIN either a Sequoyah or Redbud book set from Perma-Bound! Step 1: Order the Redbud set from Perma-Bound. Step 2: Join the Facebook Redbud Discussion Group. Step 3: Ask us for a poster! Use Promo Code OKR18 to save up to $30. Visit brownbrothersbooks dot com for more Redbud Info! The Redbud books are popular! Several have been named to masterlists in other states! Perma-Bound is working to replenish stock. Thank you for your patience. 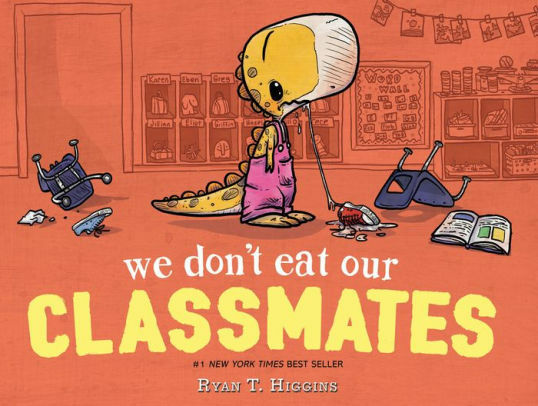 Disney/Hyperion mismanaged their stock of the Redbud book WE DON'T EAT OUR CLASSMATES. Vendors won't receive more stock until December! 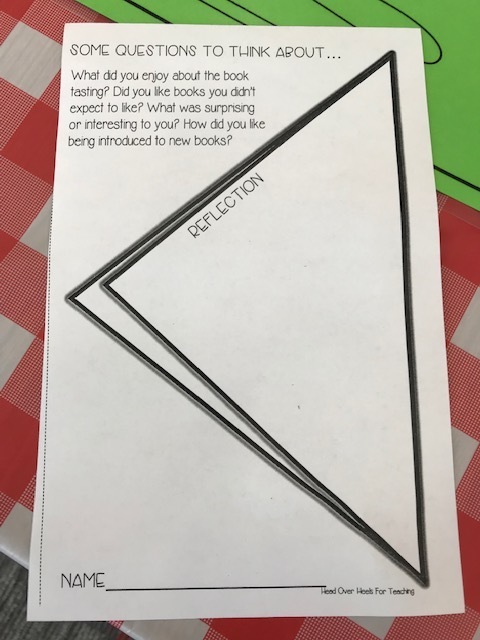 If you are in the middle of your Redbud program and need it, try your local public library or bookstore. 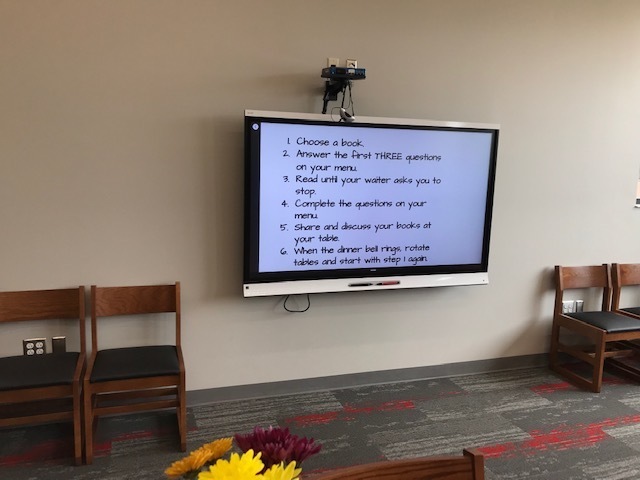 If you'd like to help others - send us a video of you reading it to a class (don't show student faces) and we'll post it to a private link on youtube for others to use. Next #sequoyahchat is October 16th at 7p on Twitter. Search #sequoyahchat on Twitter for more info. PB CUSTOMERS - Ask us for the video links NOW. OTA/EM ATTENDEES - Visit our booth and receive a free DVD. Not a PB Customer? - Request video link beginning 12/03. Posters and Children's bookmarks will be available (and FREE) at our booth at OTA! Customers may request your poster anytime - We'll mail or deliver it. 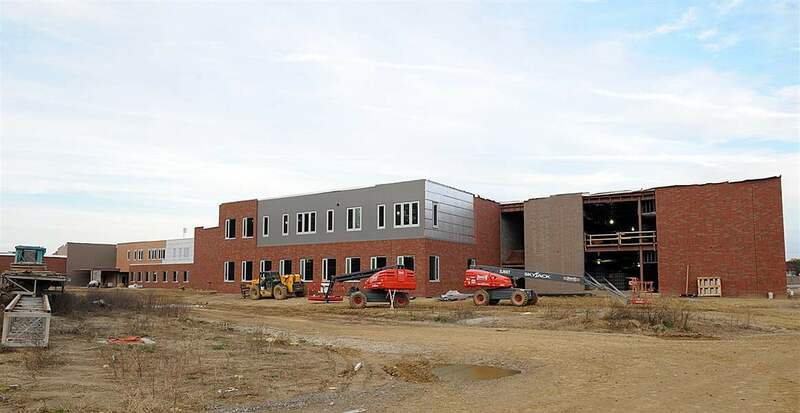 Is your district constructing a new school soon? Perma-Bound has successfully opened MANY new Oklahoma school libraries, including TWO MORE just this past summer! PLEASE contact us if a new school is planned in your community. Please contact customer service - or one of us - weekly to check on your order. Don't miss the THURSDAY-EVENING AUTHOR PARTY!!! These authors will be in attendance on Thursday only. EDUCATORS ARE INVITED to the Thursday-evening party on the 29th. Meet the authors. Buy autographed books. Win great prizes. 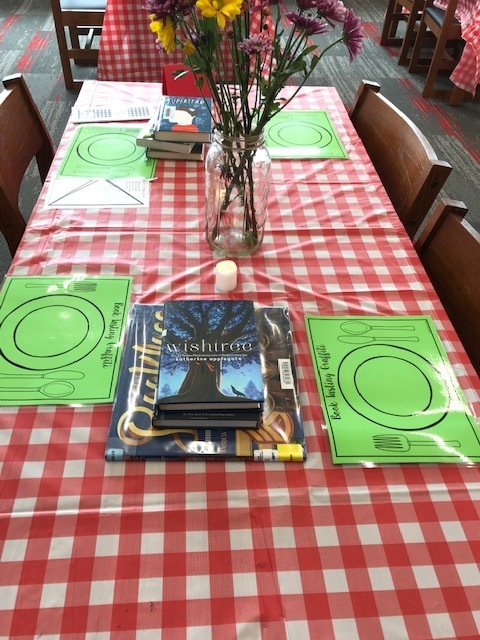 This week we visited a school where the library-media specialist had set up her library like a restaurant. 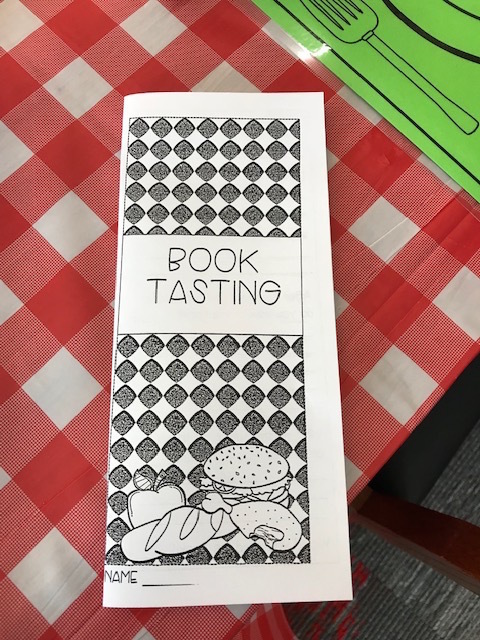 Classes were coming in to experience "A Sequoyah Book Tasting". 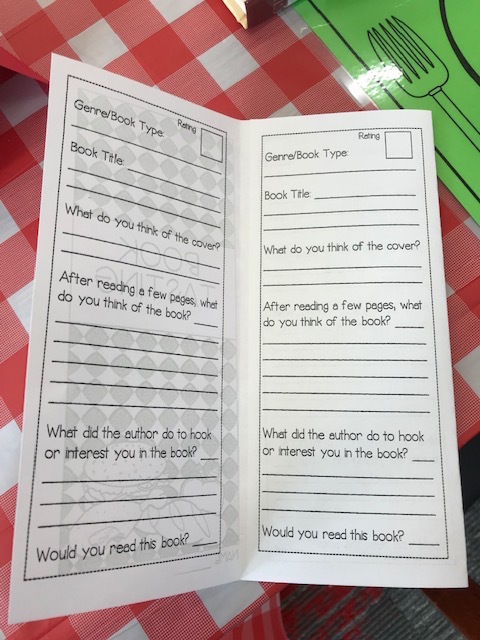 After students watched the Sequoyah author video in their classrooms, Mrs. Blair played the part of restaurant server and invited students to sample the Sequoyah books. Such an exciting idea!!! See the "tasting" images below. Thank you so much for your service to the students of Oklahoma. I am here to support you and serve you throughout the 2018-2019 school year. Please contact us anytime by phone or email. Have a wonderful school year!!! !